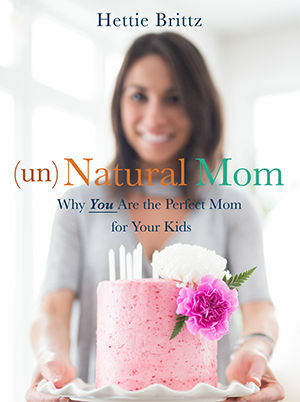 Hettie Brittz is the author of (un) Natural Mom and Growing Kids With Character. As a former speech, language and hearing therapist, Hettie worked in a multi-disciplinary practice alongside a paediatrician, psychologist, occupational therapist and other speech therapists. She gained extensive experience in therapy and parental guidance. She also pioneered an educational upliftment project in Proclamation Hill where she worked with many challenging children, dealing with everything from nutrition and computer skills to molestation and spiritual counseling. Hetttie is the developer of the Evergreen Parenting Course and heads up a group of more then 200 facilitators in 8 countries who use the course to help families. Hettie and her husband, Louis, have 3 children.